The first St. Patrick’s Day parade was held, not in Ireland, but here in New York City in 1762. Corned beef and cabbage is a culinary tradition started by Irish-American immigrants who were able to purchase expensive kosher meats from their Jewish neighbors. They threw the flavorful salted meat into a pot with beloved potatoes and affordable cabbage – and the rest is history. Contemporary St. Patrick’s Day menus in the homeland include dishes like fried lamb belly fingers, slow-poached organic chicken with tarragon, colcannon (mashed potatoes with kale), roasted carrots, and herbed Irish cheddar croquette. Whether you’re in New York or Ireland, cooking a meal together as a family is a beautiful tradition. Your menu doesn’t have to be fancy. 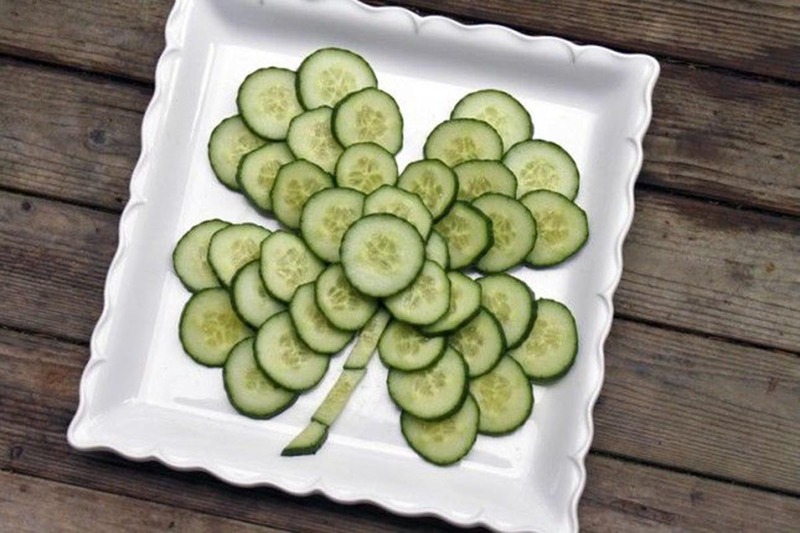 We’ve dug up five good old-fashioned Irish recipes to enjoy cooking and eating with your children this St. Paddy’s Day. Before you get started in the kitchen, take the kids down to The Butcher Block in Sunnyside, Queens for authentic Irish provisions, including back bacon, rashers, black pudding, Irish teas, Kerrygold cheese, sweets, sauces, spreads, and breads. Get Chef Allen’s recipe or, if you prefer adding goodies, try this third-generation recipe from NYC Chef John Mooney. Dead Rabbit Grocery and Grog won countless awards for their cocktails and was ranked “The World’s Best Bar” in 2016. Drinks aside, the restaurant’s weekend brunch became so popular, they offer it all week long to keep up with demand. The Irish Breakfast is designed to be comforting and filling. Chef Mallol’s take on the classic formula involves a few extra herbs and spices, but remains pretty true to what you would find in Ireland. Even the pickiest of eaters will find something to devour on this plate of eggs, Irish sausages (Bangers), back bacon (Rashers), blood and oatmeal sausages (Black and White Pudding), toast, sautéed mushrooms, roasted tomatoes, and baked beans. Adults can pair this meal equally well with Guinness or Irish coffee, while kids can enjoy a craft apple juice blended with strawberry, raspberry, or black currant. Rich, hearty Irish stew contains a handful of ingredients like mutton or young lamb, onions, and potatoes. The further south you go, the more vegetables you’ll see – like carrots or even turnips. Irish stews can be a broth served in a bowl or thickened with flour and served over mashed potatoes. Adorned with just a sprig of thyme, the natural food flavors take center stage in this recipe that is simple enough to cook with kids. You’ll need a shamrock-shaped cookie cutter for this fun-looking dish that combines the smokiness of gouda cheese and paprika with the creaminess of mashed potatoes and carrots. It’s an easy 25-minute dish that warms the heart in less than 400 calories. We’ve seen similar recipes with the addition of four ounces of finely chopped ham for added protein. The floating green pesto-topped shamrock toast will be the showstopper for the kids who may get a little messy figuring out how to best eat it. You can try Orwasher’s Bakery or Amy’s Bread for a great artisanal Irish sourdough worthy of your soup. Finding an Irish dessert that doesn’t use Guinness, Bailey’s, or Irish whiskey can be a challenge, but the crunchy sugary crust and Grandma’s creamy custard sauce provide plenty of sweetness to this apple cake recipe — without the booze. You’ll need a round 8″ or 9″ pan, ideally a springform. You can use Golden Delicious apples if you find Granny Smiths too tart. While most cakes are spiced with cinnamon, this version borrows cloves and nutmeg for a European twist.